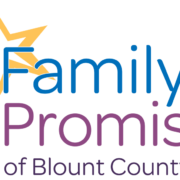 Family Promise of Blount County Thank you for coming and volunteering your time to help us create a community where every child has a home! special skill you would like to teach? 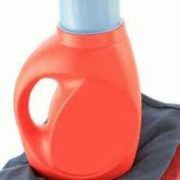 Your honest answers to the following questions will assure our guests and families of the finest care we can provide. I agree to abide by all confidentiality policies to not disclose any confidential business of Family Promise of Blount County. I hereby give my permission for Family Promise of Blount County to obtain information relating to any sexual offender history I might have. I understand this information will be used in part to determine eligibility for a volunteer position with Family Promise of Blount County. I also understand that as long as I remain a volunteer here the sexual offender history records check may be repeated at any time. I understand that I will have an opportunity to review the sexual offender history as received by Family Promise of Blount County and that a procedure is available for clarification if I dispute the record as received. I the undersigned, do for myself, my heirs, executors and administrators, hereby remise,, release and forever discharge and agree to indemnify Family Promise of Blount County and each of its officers, directors, employees and agents and hold them harmless from and against any and all causes if actions, suits, liabilites, costs, depts and sums of money, claims and demands woatsover (indluding claims for negligence, gross negligence, and or strict liabilit of the site with information ) and any and all related attorney's fees, court costs and other expenses resulting from the investigation of my background in connection with my application to become a volunteer. Copy will be sent by email for electronic signature. FOR NEW VOLUNTEERS ONLY (if this is an update for a current volunteer you will not receive the e-signature email.